Cherry Firewood - It Smells Great But How Well Does It Burn? The black cherry (also referred to as wild cherry) is a common tree found throughout central and eastern United States. The cherry tree is known for its beautiful white fragrant blooms in the spring followed by large amounts of red berries that eventually ripen to a darker color. The berries begin to grow in the spring and are hard and bitter at first. As they ripen the berries turn to a dark color and begin to soften and become sweeter. These berries are edible by humans but many still describe the flavor as bitter. The fruit of the black cherry is eaten by birds and other wildlife. The seeds are then spread throughout the forest allowing the cherry tree to spread rapidly. The cherry tree is known for producing exceptional lumber. The wood is used to make furniture, flooring and cabinets. The wood fiber has a reddish hue on the inside and also has a pleasant fragrance. The bark of a young cherry tree is smooth. As the tree matures, the bark turns to a distinctive scaly texture. An adult cherry tree can grow up to 80 feet tall. Cherry will produce 20.0 million BTU's per cord. The firewood is known for its pleasant aroma when burnt making it a popular choice for a fireplace. 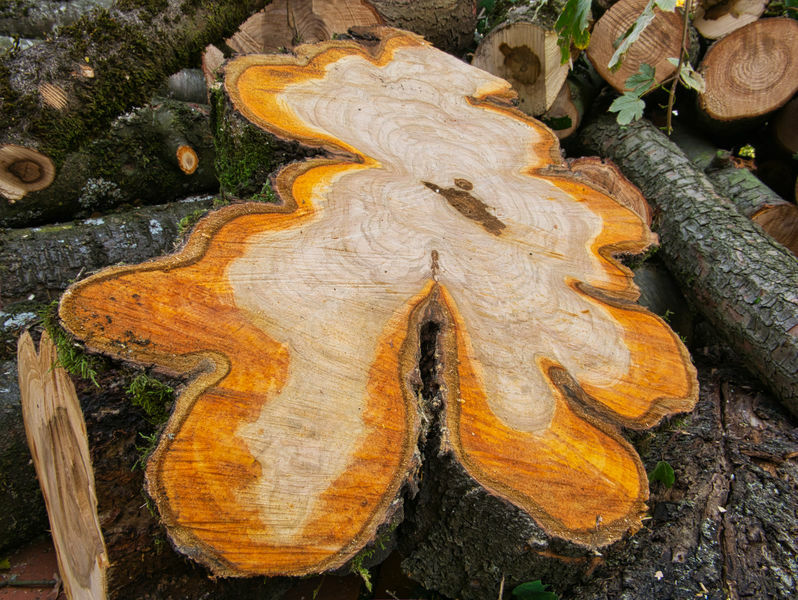 Cherry does seem to spark more than other hardwoods which could lead to issues when burnt in an open fireplace. Using a fireplace screen will help prevent sparks from escaping.